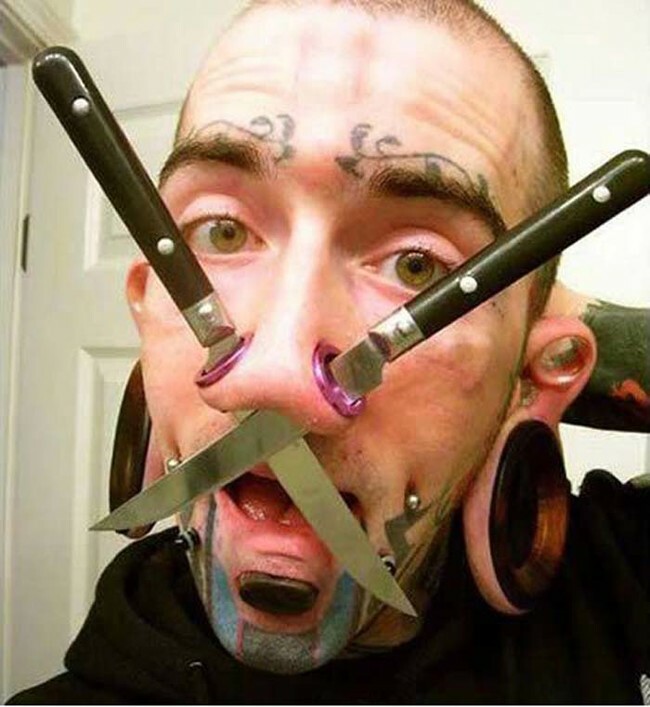 I generally keep my knifes in my ears. Holy Crap! That man looks to lead a painful life! Not judging, just thinking about all the piercings and the gauges to make the holes even larger. Ow, ow, OW! Job hunting made extremely difficult. Yeah, I’m hoping he didn’t cut off a nostril removing his flatware.